For some strange reason I’m slowly becoming obsessed with all things Canada. I’m not sure how or why this has happened exactly. I’ve never been anywhere in Canada despite the border being just about a days drive away from where I live – but lately it seems that all signs (and not road signs) point to Canada. It’s not just the current circus in U.S. politics that has me looking more fondly at Canada either (*start disclaimer* This is more of a joke than a political statement – don’t take it personally if you feel differently! *end disclaimer*) – rather I seem to have developed a deep admiration for many of Canada’s finest. 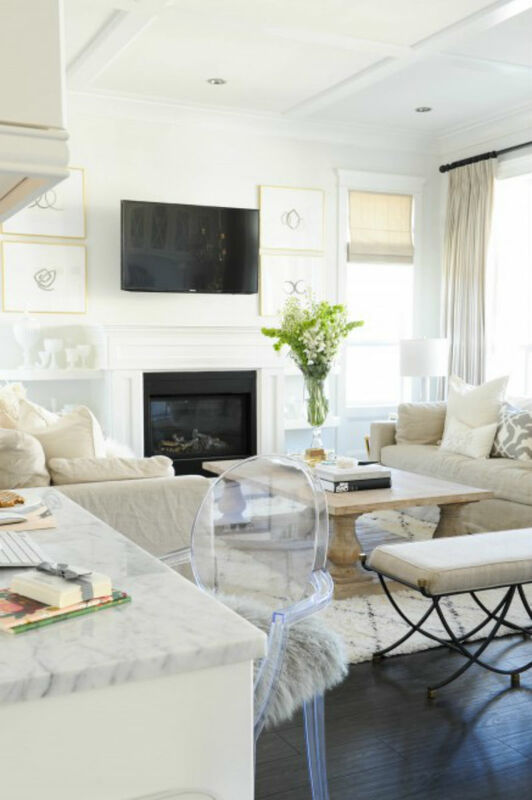 Many of my favorite bloggers and interior designers, such as Jacquelyn Clark of Lark & Linen and Sarah Richardson are Canadian – and my favorite home decor magazines, Style At Home and House & Home, are based in Canada as well. Heck, even my last House Tour post was about a home in Canada. Perhaps it is just coincidence, or perhaps there’s more to it? A mysterious pull from above (geography wise I’m sayin’)? Just the other day, as I was scrolling through my Instagram feed and finding more things Canadian to swoon over, I mentioned to my husband that I felt like I was entering into a love affair with Canada (I thought he should be the first to know). He in turn replied, with zero inflection in his voice I might add (was this not shocking to him?! ), letting me know that this specific day in which I was telling him this, July 1st, was actually Canada Day. HELLO sign from the universe!! It couldn’t be anything other than destiny – Canada and I are officially in a relationship. As I work to figure what exactly this new long distance romance means between myself and Canada (and work on my pronunciation of the word ‘about’), I’ll happily continue to spend my time uncovering new (to me) Canadian treasures (aka – bloggers and interior designers). Case in point – I recently discovered the mega awesome Vancouver based blogger, Monika Hibbs, whose personal and home decor style is totally on point (per my opinion). Her light, white, bright aesthetic balances perfectly with a delicate and thoughtfully placed color palette that capture your eye and make it irresistible to look away. The home tour below is actually her previous home as they recently built a new one for their family which is looking equally as great (if not better). You can catch glimpses of her new home on her blog and instagram feeds (@monikahibbs), and I would suspect we would see a full home tour of this new home via one of those favorite Canadian magazines of mine as well soon . But while we wait for that full reveal, go ahead and feast your eyes on her last home. Can’t hurt, eh? Do you have any favorite things about Canada (design related or not), share with me please?! I love Monica hibb’s style! So classic and clean with soft pinks and gold. I totally wanna move in! Speaking of Canada! Our family just took a road trip over spring break from Toronto to Montreal to the falls and it was beautiful! Definitely go! Yes – I recall seeing some of your Instagram photos from your trip! Montreal and Toronto are definitely on the top of my list for must visits! That hallway is incredible! I hadn’t heard of this designer, thanks for sharing!